Marko Petrak gives his view of the last weekend's FFC03 event in Split. FFC03 in Split was a success and a great introduction for the upcoming Final Fight series tournaments. One could even call it sensational, if it weren't only a handful of enthusiasts gathered at the Gripe venue. There is no point in discussing the shameful turnout any further, as most of it has already been said these last few days. Still, one thing should be noted: Split is known as a place where martial arts are big, and that's why it is almost unbelievable that fighters like Jurković, Catinas, Zhuravlev, Delija are watched live by only a couple of hundred people. It may sound ugly and threatening, but after such a turnout it's hard to expect that FFC will ever come back to Split. This is, as I'm sure everyone will agree, sad because it's the second largest Croatian city. As already mentioned above, with the exception of poor attendance, FFC03 was a thrilling event. This has been acknowledged even by the harshest of commentators. In recent days, Fight Channel has been literally swamped by hundreds of messages of support and praise for a job well done. Most of them include invitations for us to come to cities like Dubrovnik, Osijek, Rijeka, Pula, Zagreb… And we will. Above all else, people have praised the luxurious production which in many ways reminded of the legendary days of Pride. 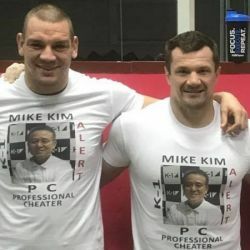 This went hand in hand with the use of the Pride rules in the MMA fights, which have been close to the hearts of regional fans ever since the time when Cro Cop ruled the Saitama Super Arena. 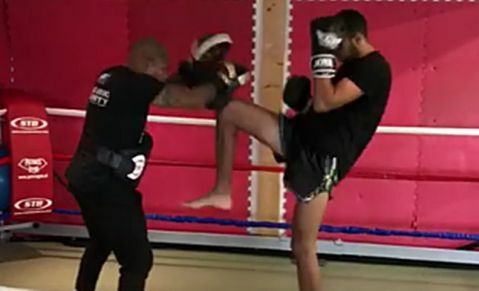 Stomps, soccer kicks, slams…that's what European MMA fans love seeing, and that's exactly what the FFC offers. The fights too have pleased even the harshest of critics. The matchmaking was done very thoroughly and carefully, making sure to pick the fighters who always give everything and who tend to solve things in the ring in the classiest way – by knockout. If we must split hairs, then we can say that only Luca Panto did a little worse than expected, probably breaking under the pressure of fighting one of the best strikers out there today. The absolute heroes of the evening were Igor Jurković and Raul Catinas, having treated the audience with probably the best kickboxing duel in 2013. The power of their strikes and relentless fighting literally bathed the judges' list next to the ring in blood and sweat, which sums up nicely what a life-or-death battle it was. Worth praising is also the spectacular knockout by Tomislav Spahović, who was without any reason underestimated and declared underdog ahead of the fight against Christian Golčić. That this was indeed a job well done is supported by the Nova TV statistics, indicating impressive ratings at 35% for the live FFC broadcast, which is, taking into account the late timing and the fact it was Friday, when the target population is typically away from its TV sets, truly sensational. We should also praise the quality and sure-footed refereeing by all the three arbiters, while only the unanimous decision in favor of Toni Milanović has raised controversy and criticism. 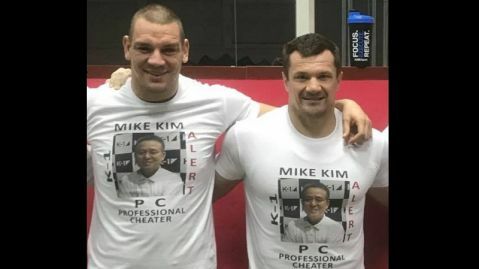 The FFC doesn't want to gain reputation as a promotion that favors hometown fighters and therefore it is essential that all refereeing decisions are just and realistic, which will be further addressed in the future. As Fight Channel's Editor, I'd like to thank everyone for the very honest praise which have given us the motivation to continue with our mission, and that is to build a respectable European martial arts promotion that will gather the best fighters from the region and provide the most spectacular fights under MMA and kickboxing rules. In less than twenty days in Zadar, there will be an opportunity to make right the one thing that was wrong in this entire story – to fill the stands of the beautiful Višnjik arena!